The CryptoXHub a COMPLETE POWER SYSTEM from facility power to the outlet level, built for medium to large scale mining operations. Convert 480V to 240V and distribute power with an integrated circuit breaker panel. All sets ship with matching CryptoBeast PDU's. 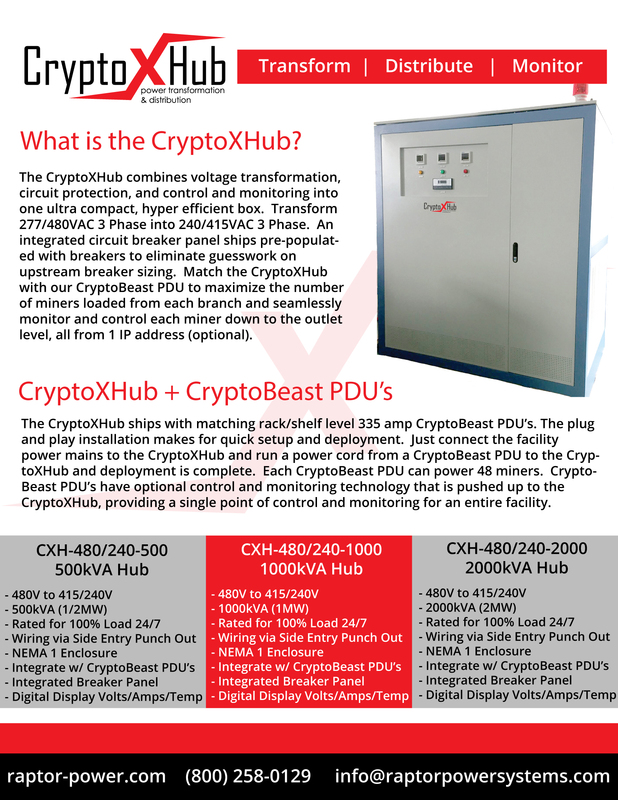 The CryptoXHub comes is 500kVA (1/2MW), 1000kVA (1MW) and 2000kVA(2MW) size configurations. Call for pricing and delivery options.